Quote of The Day: Spot The Imposter! 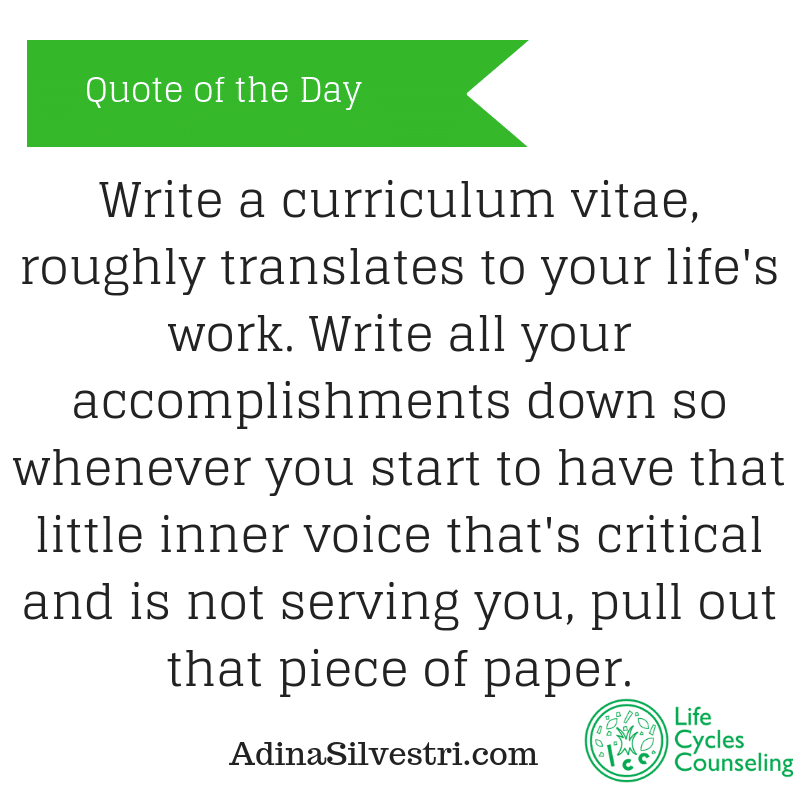 Write a curriculum vitae, roughly translates to your life’s work. Write all your accomplishments down so whenever you start to have that little inner voice that’s critical and is not serving you, pull out that piece of paper.